"Called To Fulfill His Purpose"
The Zion Temple Family would just like to say welcome to our official church website. We are very honored that you decided to check out what is going on at Zion Temple Apostolic Church. Feel free to explore our site and learn what we are about at Zion Temple. We look forward to being visited by you. If you appreciate our cause, please donate a generous offer to our church. God bless!! Our exciting church is filled with the holy spirit and our members are free to express heartfelt worship. Preaching the power Gospel of Jesus Christ with power and conviction, we have turned many lives towards God. Endeavoring to witness to men and women of all walks of life, our church welcomes everyone and uses bible instruction for counseling and advice in all situations. We are an Apostolic Pentecostal church, preaching that salvation is obtained through faith in the gospel of Jesus Christ. We believe that saving faith will be demonstrated by repentance from sin and submission to baptism by immersion in water in the name of Jesus Christ. Our members receive God's witness and are filled with the Holy Spirit, as evidenced by speaking in other tongues. 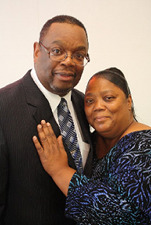 Contact us in Gary, Indiana, to learn more about the services provided at Zion Temple Apostolic Church.